Introduce yourself as Yamada, or if the song you're singing has spoken parts that works as well. 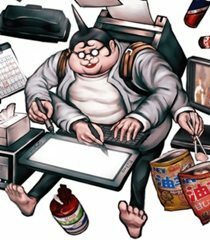 My name is Hifumi Yamada. 'The man who is the beginning and the end.' You can call me either way, I dont mind. What was that?! This isn't even my true form! I still have three transformations left in me! Shhhh! There's a new episode on right now, I can't miss this! Oh, My Lady, is there anything else you need? More tea? You can call be by my nickname, 'The Alpha and the Omega! ', if you want. So he really was the one that stole her!! Now, now, what are you doing, Rabbit?